Mr Thiruvarangan’s views in his article “Should Minorities Remain Minority Forever? A Response To Dayan Jayatilleka’s Response” in Colombo Telegraph, represents the subjectivism and emotionalism that has dominated (but not monopolised) Tamil politics in Sri Lanka from the outset. He seems to think that a minority need not remain one and can redefine itself as a nation if it so wishes. He completely ignores the fact that even in those few countries in which nations are recognised within a state/country — and these belonged or belong to the socialist tradition— the status of nation was accorded to those compact ethnic groups which were roughly comparable in size to the main ethnic group. Indeed many of these societies were composed of several ethnic blocs of roughly equivalent or comparable size. Such nations were recognised as enjoying the right of self-determination and were accorded the structural status of autonomous republics. However, this was only one of the types of categories for ethnic groups and one of the several structural arrangements. For ethnic groups that were significant large but not of comparable size as the main one, the classification was of (minority) nationalities, and the structural space was of autonomous regions, not republics. For still smaller ethnic groups, the designation was of national minorities who were accorded the structural space of autonomous areas. If one were to go by this paradigm, the Tamils of Sri Lanka would fall into the third category or at best, the second. If one were to avoid this neo-Leninist paradigm and use a paradigm of liberal universalism, then the Sri Lankan Tamils would be regarded (as did Asbjorn Eide) as an ethnic group or a community which constituted an ethnic minority. Indeed the initial international focus on the predicament of the Tamils was in the report by Walter Schwartz for the Minority Rights Group (London) in 1972 entitled ‘The Tamils of Sri Lanka’. The Indo-Lanka accord of 1987, the authors of which were secularists of a left-liberal persuasion, adopted a mix of the paradigms of multiethnic pluralism and left-of-centre progressivism. Hence the Accord’s synthesis or eclectic-syncretic character: the assertion of the pluralist, multiethnic, multi-religious, multi cultural nature of the Sri Lankan formation and the policy prescription of devolution of power to the regions, with their sub-formations. The Accord evidently regarded the Tamil issue as one, not of nationalism, but at best, of sub-nationalism. The submission of Mr. Thiruvanarangan borders on the farcical because it insists on the right of the Tamils of Sri Lanka, or indeed any ethnic community, to escalate in self-definition from minority to nation, while diminishing in numbers and as a percentage of the country concerned! Thus the assertion of nationhood has no correlation and need not have any correlation with objective demographic reality whatsoever. It is, in short, a pure fantasy; a delusion. 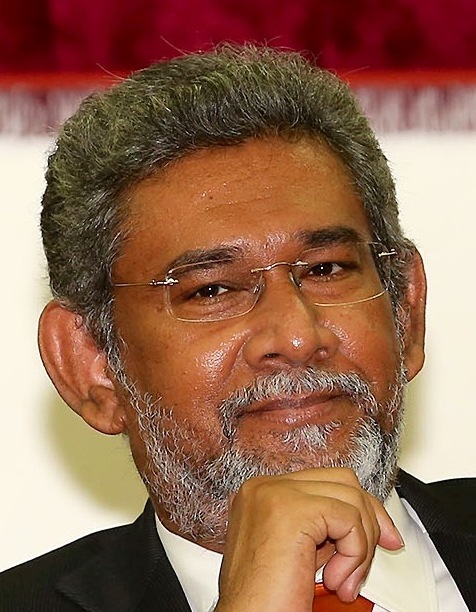 The most serious implication of Chief Minister Wigneswaran’s assertion of the Tamils as ‘a nation without a state’ is that it implicitly rejects not only the 13th amendment but much more importantly, the very framework of the Indo-Lanka Accord itself. Going outside and beyond the Accord brings the Chief Minister’s discourse into overlap with that of the Tamil Eelamists or secessionists whose case rests on the same conceptual basis of a nation without a state. This confirms the late Prof Urmila Phadnis’ concluding observation in her last book, to the effect that alone among the sub-nationalisms of South Asia, the politics and discourse of the Tamils of Sri Lanka reveal an “autonomist-secessionist continuum”. “…I now wish that that I had recommended a human rights clause as in the constitution of India – and elsewhere. But I do not believe that other federation or an autonomous Tamil State will work. Federation is cumbersome and difficult to operate – and an autonomous Tamil State would not be viable. I am afraid that I can only counsel patience – and vigorous participation in the work of the House of Representatives. You might imitate the Irish party in our House of Commons before Ireland was separated from us. 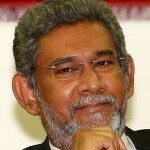 Incidentally the Tamil Members of Parliament were, in my opinion, very unwise not support Dudley Senanayake. They could, I believe, have kept him in power. If Lord Soulbury’s important 1964 reply to C Suntheralingam had been adhered to, the Tamils, Sinhalese and Sri Lanka as a whole would have been in a much better place today. Exactly half a century later, it is still not too late. More than in 1964 when Lord Soulbury made his recommendation to the Tamils, of alliances and mainstream democratic participation, proportional representation enables them to punch their full weight in the Sri Lankan polity. They should pursue a policy of alliances with the Southern democrats especially of the opposition, and strive for a progressive change. They must however, opt for a UNP leader who can carry the Sinhalese with him. They would also do well to abandon those slogans that would sink their Southern partners even if the UNP were elected to office. My political-programmatic suggestion is the broadest possible bloc of forces who are in agreement with the definition of the character of Sri Lanka as contained in the Preamble of the Accord (even though they may disagree with the provenance of that definition).